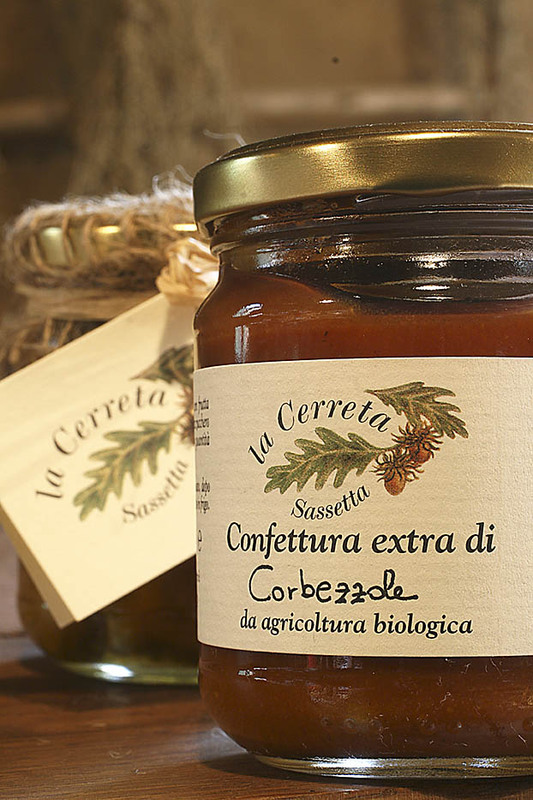 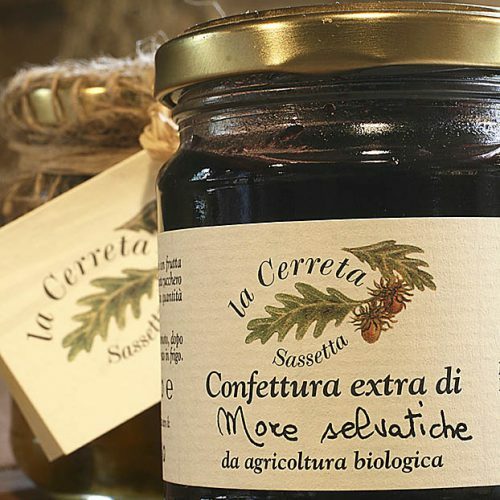 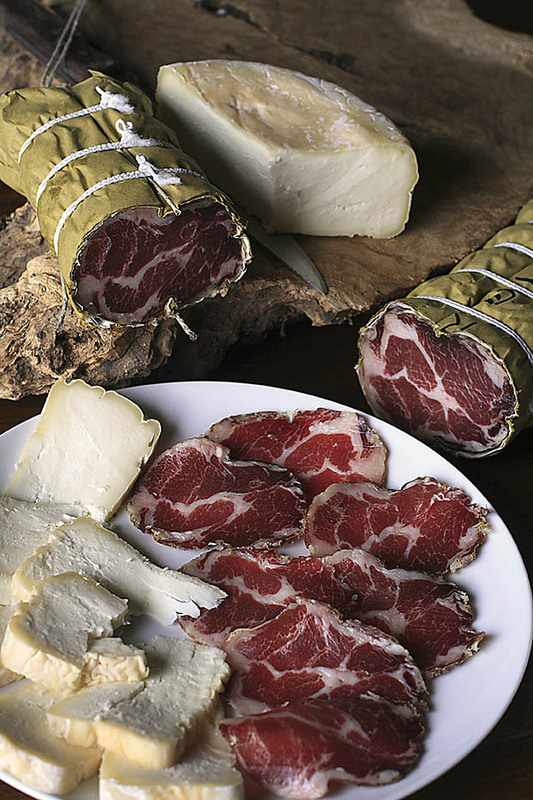 La Cerreta’s delicatessen meats are produced with Cinta Senese and Nero della Cerreta pork. 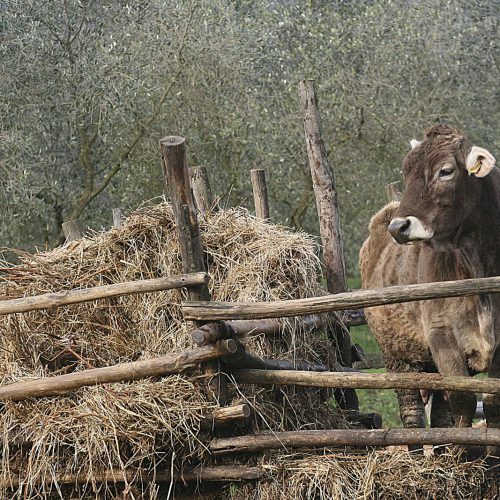 The animals are raised on our farm: they live in groups and are nourished with a diet of acorns and chestnuts from our woods, grasses and cereals, which gives their meat a unique texture and flavor. 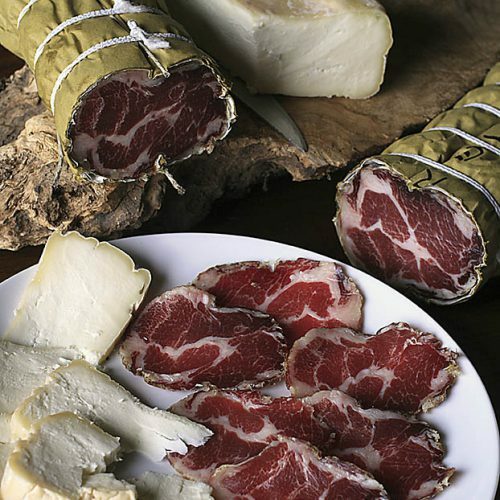 Slaughtering occurs only after the animals have reached two years of age, and the processing methods are those typical to our area, which are validated by a master butcher. 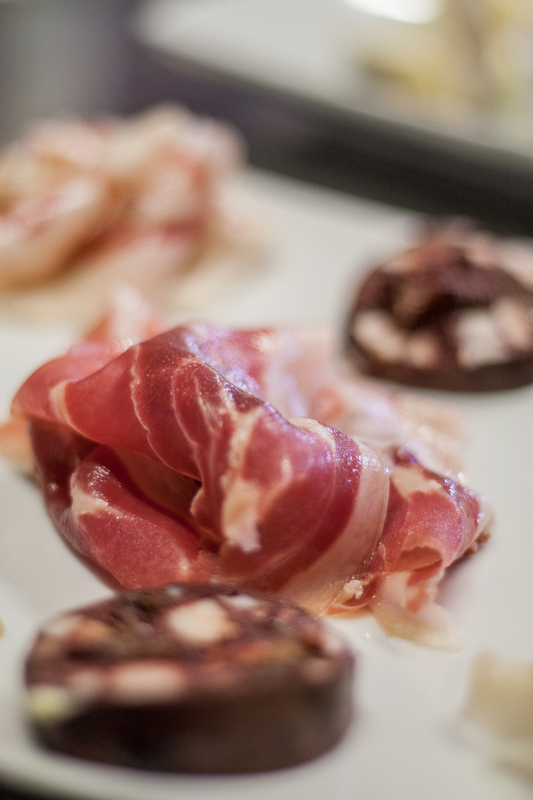 To preserve the meat, we use sea salt, spices, pepper, natural guts and we use processes such as mold cultures, stewing and slow aging, which guarantee healthfulness and quality. 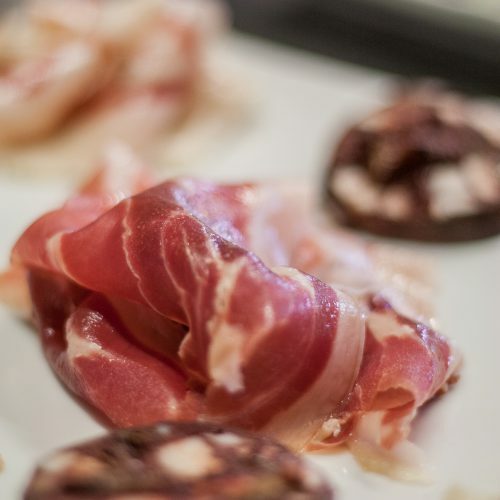 In addition to fresh meats, the cured meats we offer include prosciutto, salami of various sizes, capocollo, rigantino, roast pork, guanciola and lardo, with varying aging periods: 18 to 24 months for prosciutto and 3 to 10 months for salami. 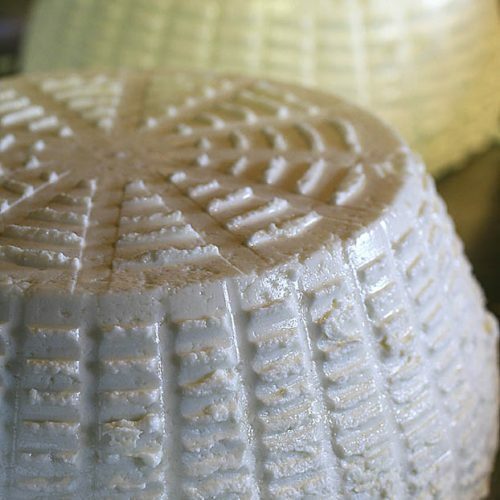 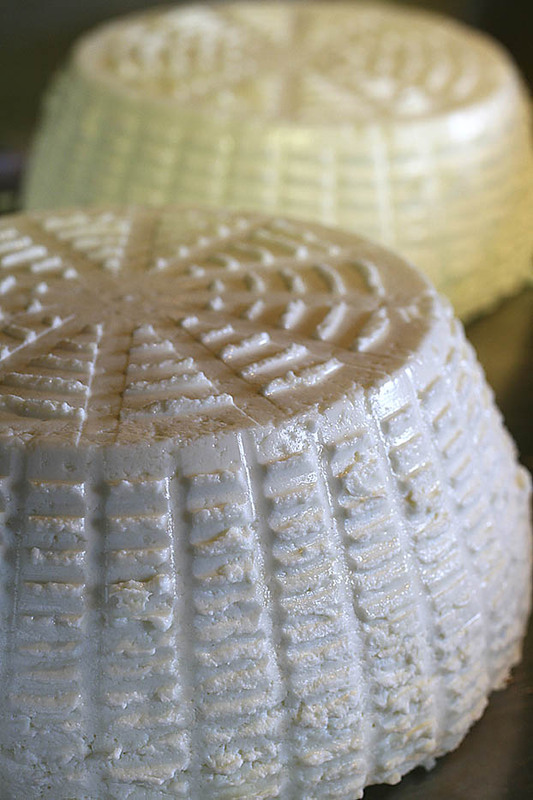 La Cerreta fresh and aged cheeses are made with milk from free range grass-fed cows. 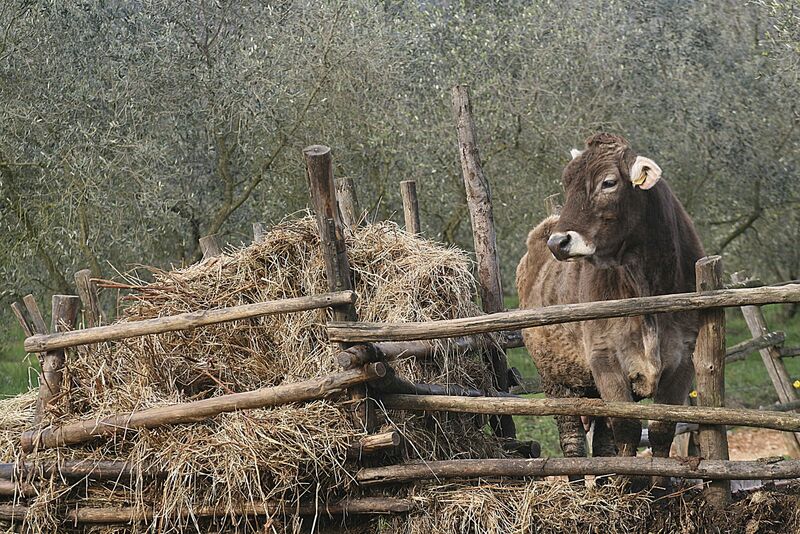 In keeping with biodynamic methods, we never remove the horns out of respect for the animal and in order to retain the milk’s nutritional value. 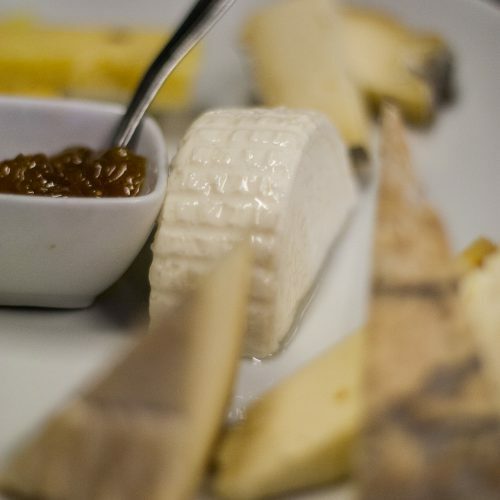 There is a wide selection of cheeses for every taste: fresh and oven baked ricotta, mozzarella, ravaggiolo and bouchon, cheeses at various stages of aging and flavored with walnuts, chives, mushrooms, wine and cayenne pepper. 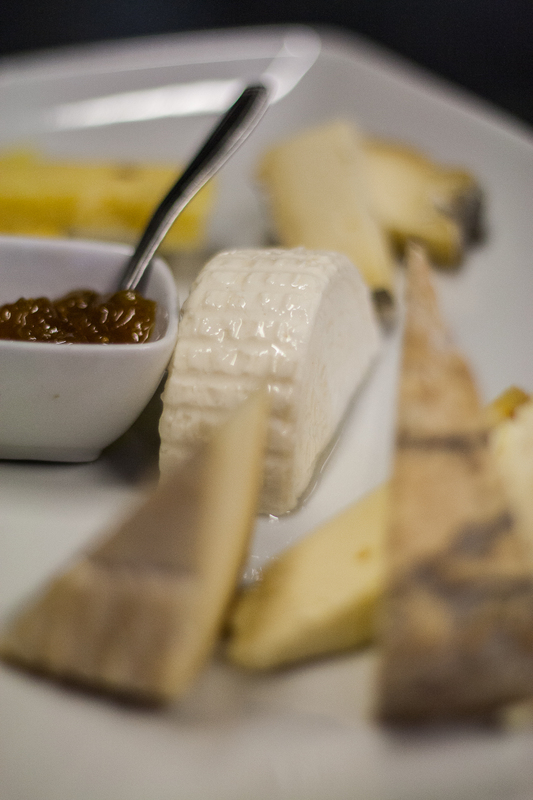 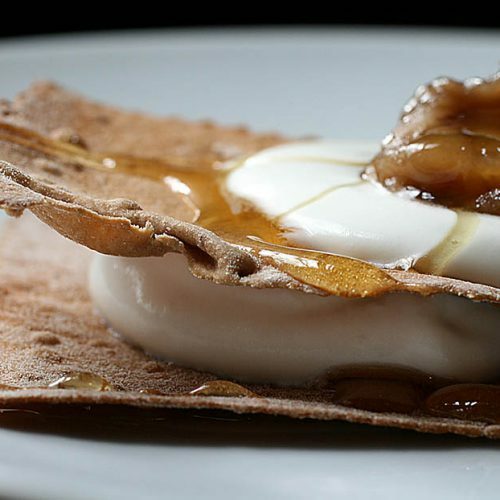 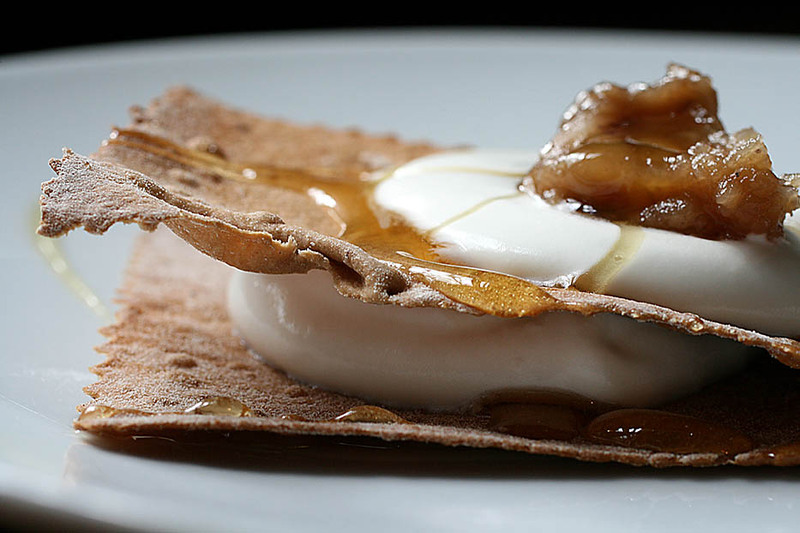 Not to mention our delicious yogurt made daily and served for breakfast or at the Thermal Baths! 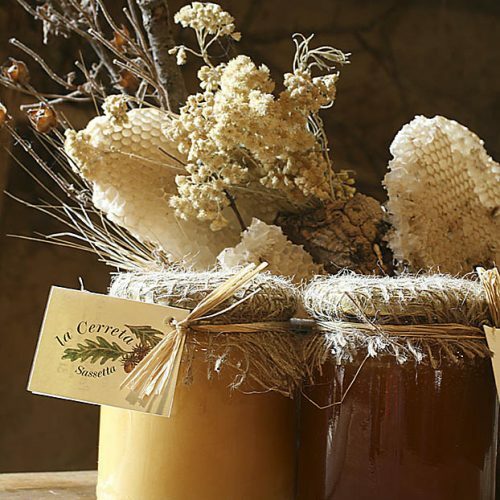 In addition to small quantities picked to eat fresh, we use local antique fruit varieties to produce extra jams with a maximum of 20% whole cane sugar. 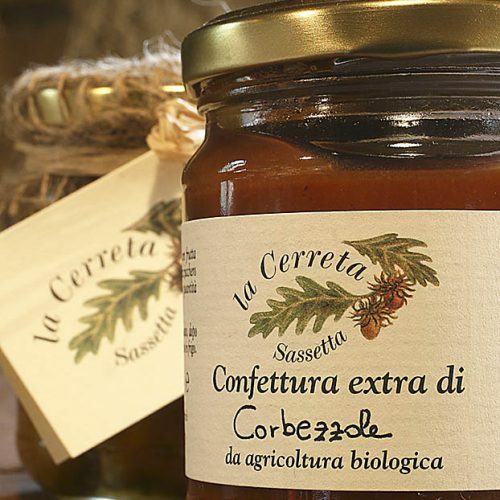 From figs under oil, to glazed chestnuts or chestnut cream, to many types of jams: 100% wild blackberries, strawberry tree fruits, quince, peaches, Coscia pears, apricots, apples and mint, green and red Claudia plums, melons, watermelons, watermelon rinds, green tomatoes, cucumbers and mint, zucchini, Cayenne peppers, rose apples, elderberries, blackthorns, strawberries and cherries, as well as exquisite Coscia di Monaca plum preserves and milk jam. 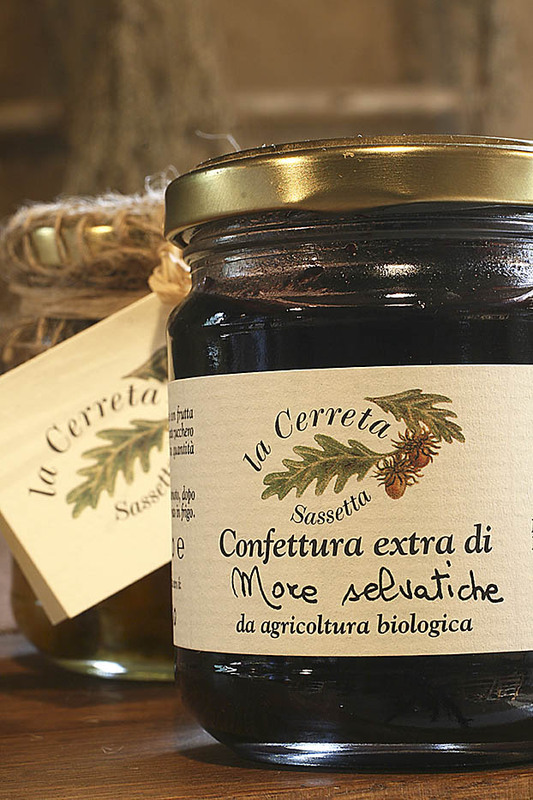 For wine enthusiasts, there is jam made with merlot, vermentino, cabernet, sangiovese and strawberry grapes. 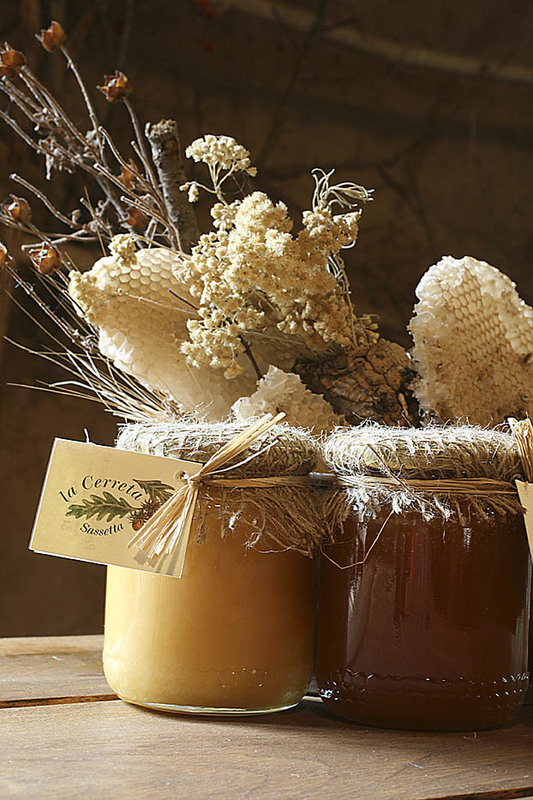 Beekeeping is one of the most important agricultural activities and an old tradition for La Cerreta. 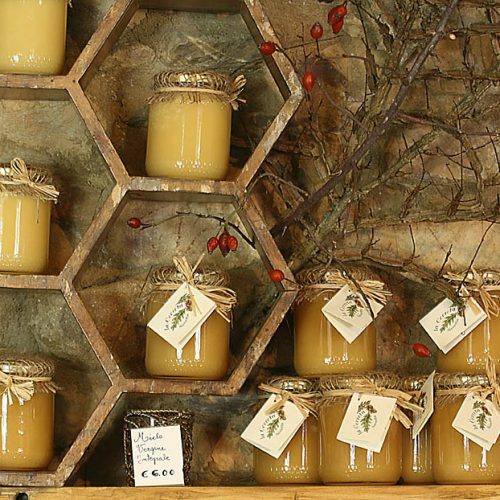 The mild climate, various types of flowers throughout the year and the excellent biological balance allow the bees to produce—and us to collect—excellent varieties of raw virgin honey. 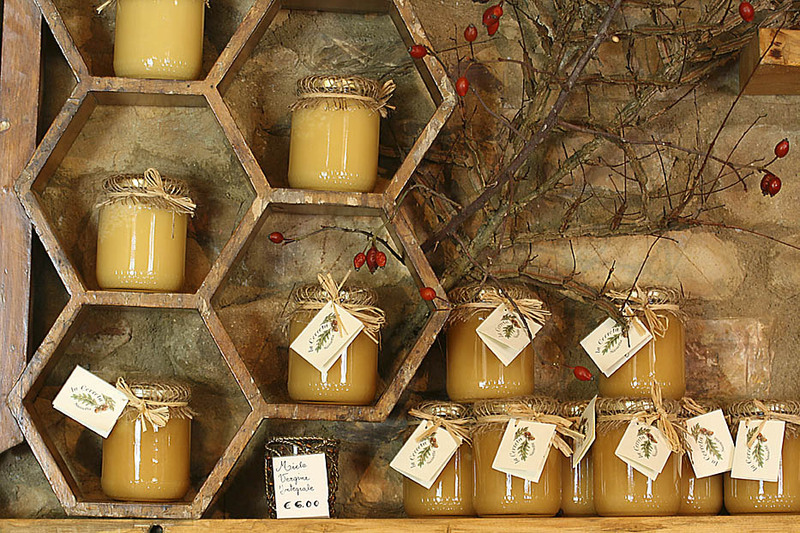 The honey is cold extracted and immediately put in jars.